4. 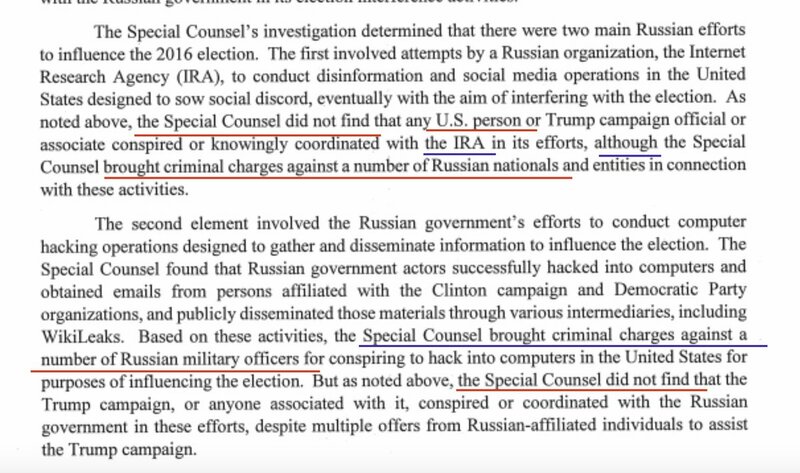 What if Mueller lays out the damning evidence against Team Treason and then says he has referred the cases for prosecution? 5. 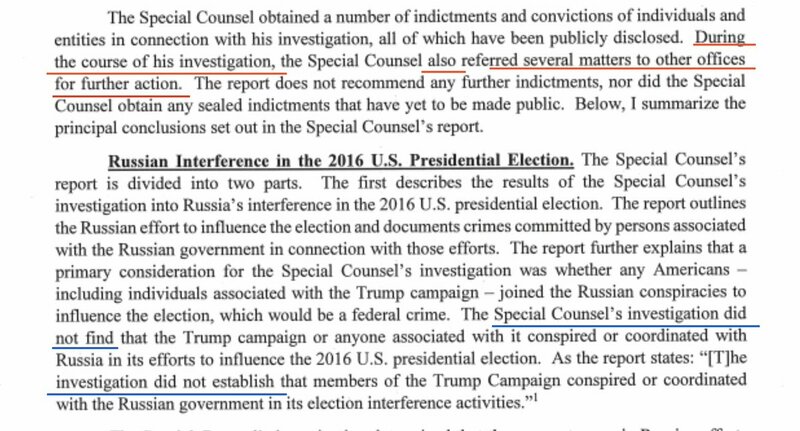 "The investigation did not establish that members of the Trump Campaign conspired and coordinated with the Russian government in its election interference activities." 6. "Such actions are crimes, and thus conclusions of this type cannot be reached without due process of law. My office has therefore referred each case referenced in this report to prosecutors in the appropriate jurisdictions to bring these matters to trial."